The attorney-client privilege that protects confidential communications between clients and their lawyers may extend to consultants if they act as the “functional equivalent” of corporate employees. Otherwise, most courts take a very narrow view. In Durling v. Papa John’s International, Inc. (2018), Papa John’s relied on a third-party consultant to analyze delivery driver reimbursement. Class action plaintiffs claiming minimum wage violations sought communications between Papa John’s and the consultant. The court rejected Papa John’s “functional equivalent” argument, noting that the consultant’s employees were not so fully integrated into the company’s hierarchy that they were de facto employees. The court also said that Papa John’s retained the consultant to obtain information that the company did not already have – not to improve communications between attorney and client. 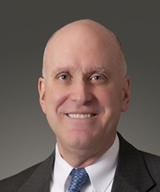 One day later, in Narayanan v. Southern Global Holdings Inc. (2018), another court found that a corporation’s consultant failed the “functional equivalent” standard because the consultant was not “nearly indispensable” or did not serve “some specialized purpose in facilitating the attorney-client communications.” Rather, the court said, it was merely useful and convenient.